Fig, a sixth grader, wants more than anything to see the world as her father does. The once-renowned pianist, who hasn’t composed a song in years and has unpredictable good and bad days, is something of a mystery to Fig. Though she’s a science and math nerd, she tries taking an art class just to be closer to him, to experience life the way an artist does. But then Fig’s dad shows up at school, disoriented and desperately searching for Fig. Not only has the class not brought Fig closer to understanding him, but it has also brought social services to their door. 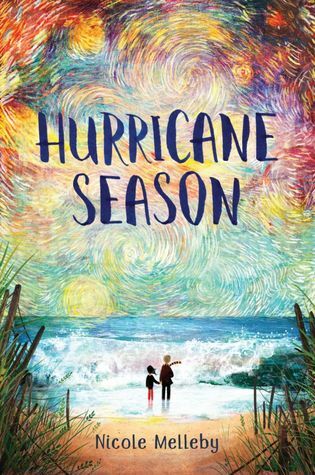 Nicole Melleby’s Hurricane Season is a stunning novel about a girl struggling to be a kid as pressing adult concerns to weigh on her. It’s also about taking risks and facing danger, about love and art, and about coming of age and coming out. And more than anything else, it is a story of the healing power of love—and the limits of that power.